Why not enjoy washing your hardworking hands? 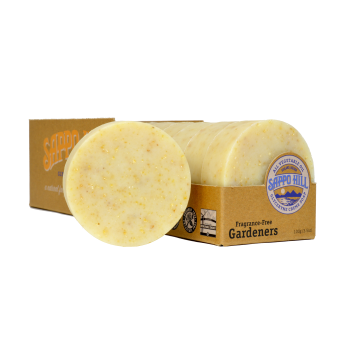 Tired fingers and palms chafed by gloves or weather are soothed into happiness by the rich lather that grows ever more luscious as our round Gardeners soap revolves in your hands. 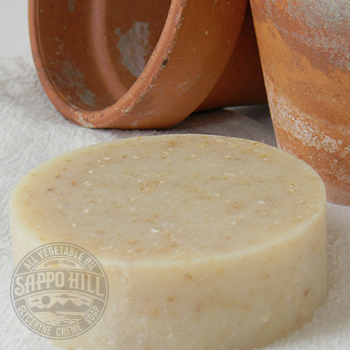 Its fragrance-free cleansing power is enhanced by the addition of organic grains of polenta and cornmeal. Get dirty, then get clean! 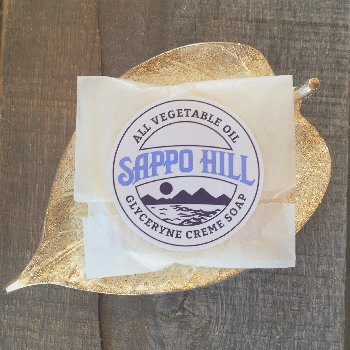 Always unscented, always fragrance-free. 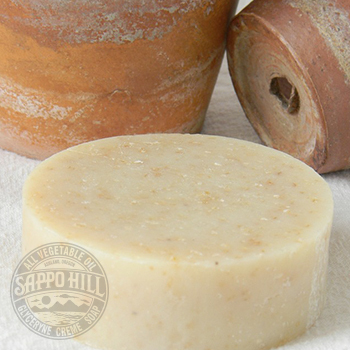 Categories: All Soaps, Our Fragrance-Free Soaps, Our Gardeners' Soap, More..